Topics like the review of teaching methodologies, assessment & evaluation, professional ethics, quran and hadith , muamalat, tarekh & caliphate, pillars of iman among others were discussed during the seminar. 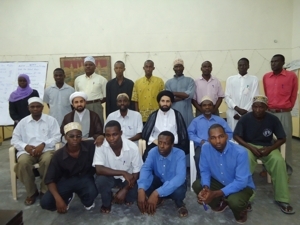 The main objective of conducting this seminar was to educate the IRE teachers from Bilal centers more on the Islamic religious education and how it should be taught in the schools. 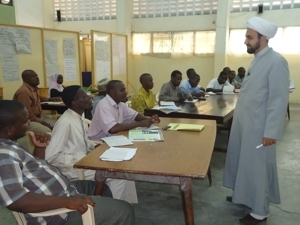 15 IRE Teachers from Bilal Muslim Mission of Kenya’s rural centers participated in this seminar.